Festival of Lights Grand Opening Day! 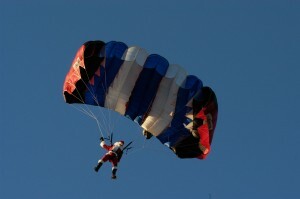 See Santa Parachute in, Plus Dance and Musical Performances and a Special Sister City Celebration. As the largest holiday lighting events on the Gulf Coast flips the switch on Saturday, Moody Gardens will also kick off the 50th anniversary celebration of Galveston-Niigata Sister City relationship. 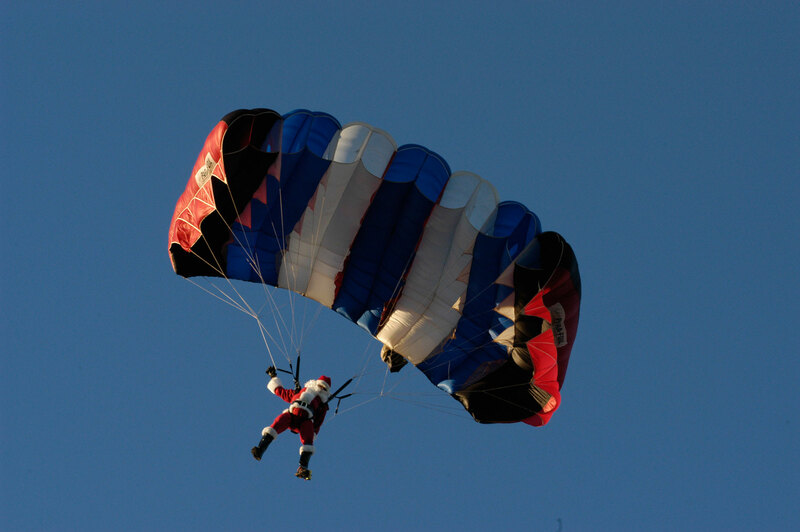 Festivities begin with Santa parachuting in for this free event, the Festival of Lights packs the night with over 100 sound-enhanced animated light displays, live entertainment and more. As a special treat, students across Galveston Independent School District will illuminate the Festival of Lights with 25 hand-made Japanese folk art known as the Taiguruma, pull-cart paper lanterns in the shape of a Bream fish, and perform songs to go along with the Japanese celebration. Through Jan. 4, you can enjoy more than one million lights, a Texas-sized Arctic Ice Slide, and the area’s only outdoor ice skating rink. Tickets are $6.95. Additional tickets to any of the other Moody Gardens Attractions are just $6.00 each with your festival ticket. 6:00 PM: Santa flips the giant light switch to turn on over 1 million lights. The Festival of Lights gates officially open for the season. The Festival will continue to shine throughout the holiday season Thursdays through Saturdays from Nov. 22 to Dec. 7, before open nightly from Dec. 12 to Jan. 4, including Christmas Eve and Christmas Day. Hours run from 6 to 10 p.m. Admission to the Festival of Lights is $6.95. With the purchase of a Festival of Lights ticket, tickets to the Aquarium Pyramid, Rainforest Pyramid, Discovery Pyramid, holiday MG 3D film, holiday 4D Film, Ridefilm and Colonel Paddlewheel Boat can be purchased for only $6 each. Guests can also enjoy the Texas-sized Arctic slide and the classic outdoor skating rink. Ice skates are available for rent or guests can bring their own. Moody Gardens recognizes Houston Area Cadillac Dealers, KPRC TV 2, Houston Community Newspapers, Houston Family Magazine, Pepsi, Gilbane Builders, Morris Architects, Broome Welding & Machine Co., Forman Equipment and Contracting, Chuoke Plumbing, Kelso Concrete, KenMor Electric, American Marble, Baker Concrete, CHP and Associates, WORKtm and Schindler Elevator Corp., Glazier Foods and Forward Energy Group as sponsors of the 2013 Festival of Lights. Posted on November 14, 2013 Author Ligia BermudezCategories Festival of LightsTags Christmas, family fun, Festival of Lights, Holiday Lights, Holidays, Ligths, Moody Gardens, Parachuting, Santa Claus1 Comment on Festival of Lights Grand Opening Day!